Check out my latest FirstWeFeast beer tasting! This one is with dead prez's DJ mikeflo! 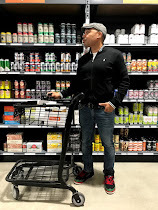 I hope you good dads out there took advantage of my two Annual Father's Day Gift Guides I posted for ya here and here! Anyway, I juuuuust got back from kicking it hard with my brother from another mother, Willie The Kid, at his hometown in Grand Rapids, Michigan for an awesome beer fest hosted by one of the best breweries in the world, Founders. Stay tuned for pics, something Willie and I have in the works, and more coverage about my entire stay in that great city. I also got some love in Detroit too! 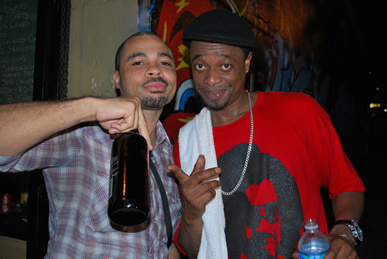 Me and Devin the Dude sippin' Unibroue. 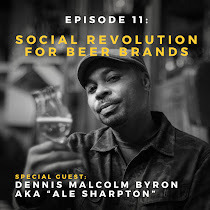 Upon my Atlanta arrival, I see that one of the best sites I write for, FirstWeFeast, just posted another installment of my curated beer tastings with celebs, musicians, and hip hop aficionados. 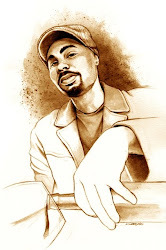 The very first one I did was with Devin The Dude almost exactly six years ago! It was June 19, 2009 to be exact. Well here is the latest edition with my globetrotting homey, entrepreneur, stylist, rocker, spinner, musician and pure talent mikeflo. After returning from a show in Paris with his group dead prez, Rakim, Busta Rhymes and EPMD (Whoa! ), I took him to the extra gangster beer bar in East Atlanta, Argosy, where my man Armando set us up; I selected six ales from some of the most gangster breweries throughout the U.S. including Great Divide, Evil Twin, Burnt Hickory, Boulevard, Ballast Point, and Creature Comforts for Mike to enjoy. My bro Lamont was on the lens. Here is the full article. Mr. Flo is starting to become quite the ale enthusiast as you can see from his impressive interpretations. He also did a fantastic job fulfilling my request to compare each beer to a rapper! Willie did it with me last time here and it was hit! This one with Mike is equally dope. Thanks for checking it out in advance. And please make sure you keep in ear out for what I am doing with mikeflo soon too. You will dig it! We have an on-time Guide, and now here’s the buzzer beater version! Okay y’all, are you trying to make a dad happy or not? 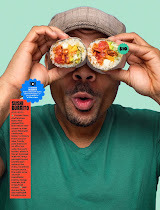 If you are not going with the latter option, here are some more options besides the awesome gift ideas I brought you in the initial 2015 Ale Sharpton Annual Father’s Day Gift Guide to choose from. I swear if you get him another tie or generic card with nothing in it, he will snap! Trust me! 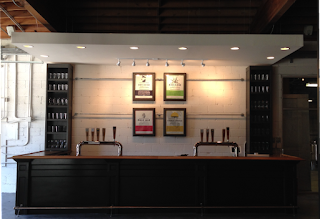 Make Pops one the first to break in the Eventide Brewing Tasting Room! If your dad is in Atlanta and loves beer, make him a part of history and be one of the first to visit the brand new Eventide Tasting Room in Grant Park (Address: 1015 Grant St SE, Atlanta GA 30315) that opens to the public officially June 20th, from 2 pm to 6 pm! Sure there are a lot of breweries in Georgia, but how often do get you to christen a new addition to their growing business? 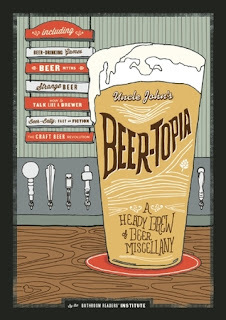 It’s only $12 for 36 ounces of any beer(s) Dad wants plus a special glass. Cost will be $12. That will get you 36oz total of any beer(s) you choose, and you get to keep your glass. Kick it! More info is here. 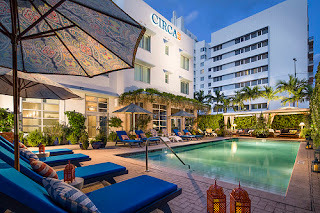 On Wednesday, June 24th, at 7:00 p.m., the classy spot known as Nikolai’s Roof (Hilton Atlanta 255 Courtland Street NE Atlanta, GA 30303) is presenting BREWS WITH A VIEW—Savor the Flavors of Summer, which is Belgian beers paired with gourmet dishes of a four-course dinner for a mere $60 per person plus tax & gratuity. 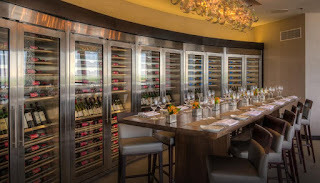 Crafted by Chef de Cuisine Stephanie Alderete and Executive Sous Chef Olivier De Busschere, one of the dishes include crustacean broth, butter-poached escargot, petite herbs and lemon pan-roasted squab. And the beers? Tripel Karmeliet Blond Kwak, Vanderghinste Oud Bruin, and La Trappe Quadrupel further solidify this is no joke! Oh, this includes complimentary valet parking and that’s awesome because I HATE paying for parking. Call 404.221.6362 to reserve your place now! Take Dad to the free official Hawks Draft Party! Okay, so maybe our beloved Atlanta Hawks didn’t make it to the Finals; it was a great season nonetheless and the party doesn’t stop! Speaking of party, there is a FREE draft party on June 25th where we see who the Hawks pick at #15 to make our city’s team that much more explosive and dangerous! Doors open at 6 pm, so be sure to register in advance to guarantee your spot in advance on Hawks.com. An RSVP guarantees express entry. Food and beverages will also be available for purchase at select concession stands in the arena. 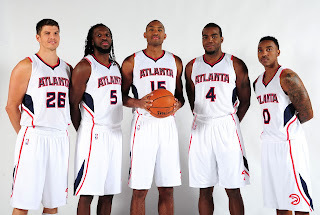 And in case you are truly a fan, the Hawks own picks No. 50 and No. 59 also. Combine all ingredients in a shaker with fresh ice then strain into a pint glass. Garnish with an orange wheel. Or how about an eight-year-old Canadian rye whisky expertly blended with fine Amontillado Sherry from the Jerez region of Spain? Look no further than Tap Rye Sherry Finished 8 Year Old Canadian Whisky! For a sweet, smooth and absolutely delicious snifter filler, go with the Tap 357 Canadian Maple Rye Whisky, boasting the blend of cask-aged 3-, 5- and 7-year old rye whiskies and pure maple syrup from Quebec! Make Dad a customized bottle opener. Just go here, send them an image and he will be poppin’ bottles literally with a customized utensil he can truly call his own. I got one made with my logo and totally dig it! I had a ball with AmaWaterways and will continue to show love after experiencing their Tulips BeerCruise touring the Netherlands two months ago. (See some of my coverage here.) It was phenomenal thanks to the staff, eventful agenda, and gangster breweries we visited along the way. Well there is another one on deck (Ha! ): AmaWaterways’ 2015 BeerCruise is set to sail on December 14 from—get this—Prague, aboard their AmaPrima. Beer expert, writer and my homey Don Russell aka “Joe Sixpack” out pf Philly will be hosting this one. Dad will LOVE you even more, trust me! Pricing for the Beer Cruise onboard AmaPrima starts at $2,899 per person. Here’s the info. Happy Father’s Day to all who apply. I hope this helps! It’s the 2015 Ale Sharpton Annual Father’s Day Gift Guide! 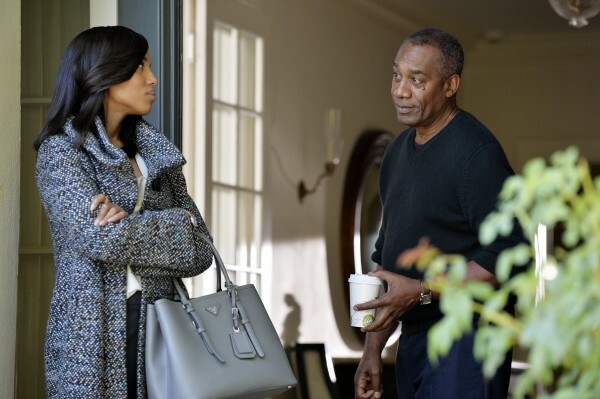 Scandal's Olivia Pope hearing what her dad wants from this list. Good luck with that! It's time to make Dad happy during the one true day he gets all to himself! As I consistently find out every year during my travels, there are so many great dads out there who do whatever they can to make sure their kids have the best in life. Hence, I have done a lot of research and received numerous pitches to be in this year’s edition, resulting in what I think the best one of them all so far. So without further ado, pour a beer and sift through these extra dope choices to make your dad, husband, or any man with a kid tap dance! Oh, and I will be adding some last-minute entries to this list periodically so check back soon! If you hate flat beer, this stainless steel growler is the answer! 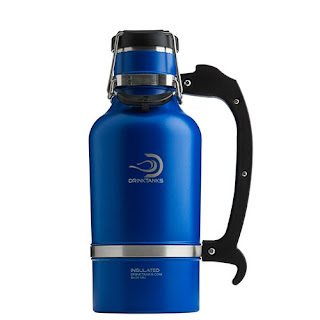 Through crowdfunding, Nicholas Hilla and his late father made their dream a reality: They delivered an awesome growler that is stainless steel, leakproof, punks traditional screwcaps in terms of carbonation preservation, and boasts that it keeps beer cold for up to 24 hours! To add, if it’s in the fridge, beer stays fresh for about a week! 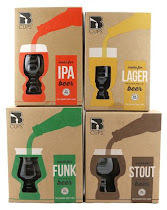 I hate how quick brews go flat in growlers, so this DrinkTanks container could be the answer! Oh yeah, besides being dishwasher safe and BPA free, these state-of-the-art growlers come in 13 different vibrant colors too! More info is here. After kickin’ it for two hours at the awesome Wild Heaven brewery for six tastings before heading to Turner Field, the day continues with a game to see the Atlanta Braves against the New York Mets (who are actually decent this year!) on Saturday, June 20th at 3:00 pm. 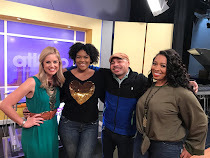 This chauffeured package includes a General Admission ticket and a signature, delicious, alcohol-absorbing Chick-Fil-A sandwich for a mere $65! SBT also includes a souvenir glass and gift bag with the tour! Pickup is at the Lindbergh TMac (Taco Mac). 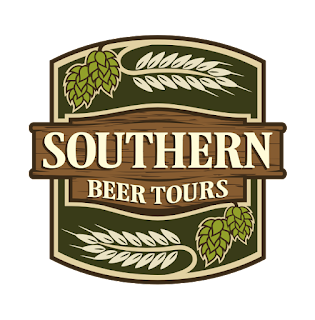 Go here for all the info and get your beer tourin’ on! Step Dad’s t-shirt game up! 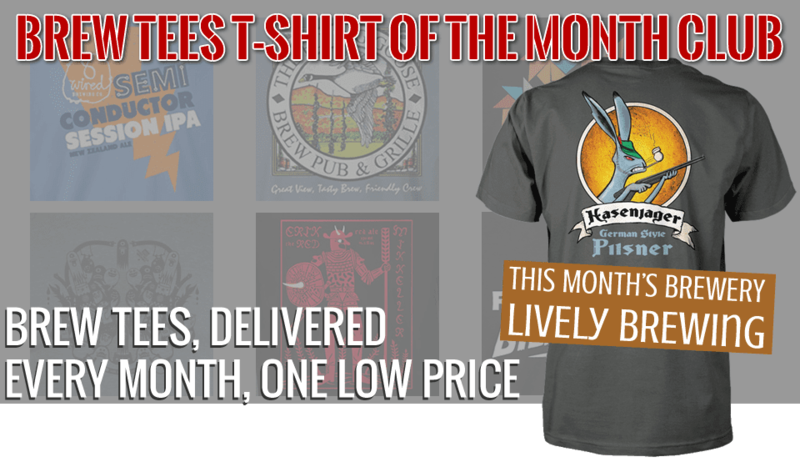 Sign Pops up to get a new t-shirt from a microbrewery like Stone, Evil Twin, and Wired to name a few every month thanks to BrewTees.com’s T-Shirt of the Month Club! The designs are pretty slick, it won’t be a piece from the macros, and it’s a gift that keeps on giving! Plus, each t-shirt comes with a lil’ goody. 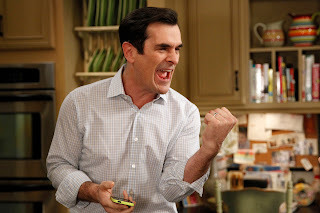 If you have commitment issues to do the monthly program (they give you choices of three months, six months and a year), just go on their site and pick the shirt you want (the prices are hella reasonable at like $20), and then bless Dad’s wardrobe with some t-shirt love. Go here for all the deets and tell ‘em Ale sent ya! Brew the beers the White House makes! Create and sip what the POTUS loves thanks to Northern Brewer. 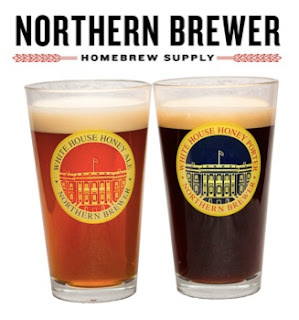 Northern Brewer, one of my favorite online retail homebrew supply shops, helps us stay patriotic with homebrew kits that emulate the original brews made by the White House kitchen staff, including President Obama’s faves—the White House Honey Ale and White House Honey Porter. Of course, Northern Brewer has hundreds of other kits, supplies, and accessories, but what better way to celebrate July 4th than with these joints? Here’s the jump to the official website. 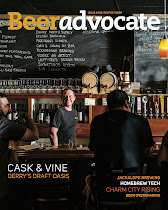 They say: All club members receive a magazine subscription and ALL ACCESS website membership that includes an interactive Beer School. 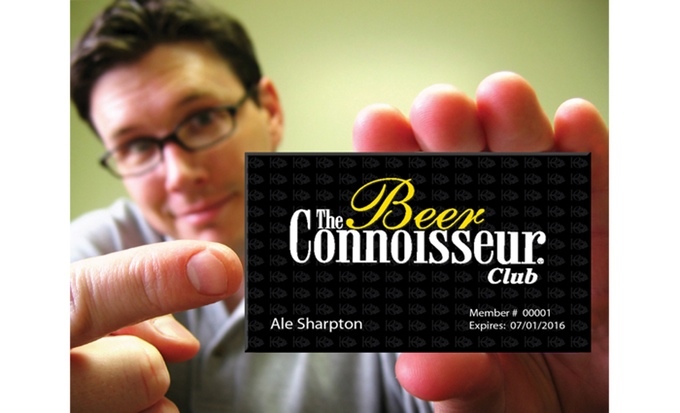 A custom membership card generates discounts and incentives with the BC Network Global Partners. 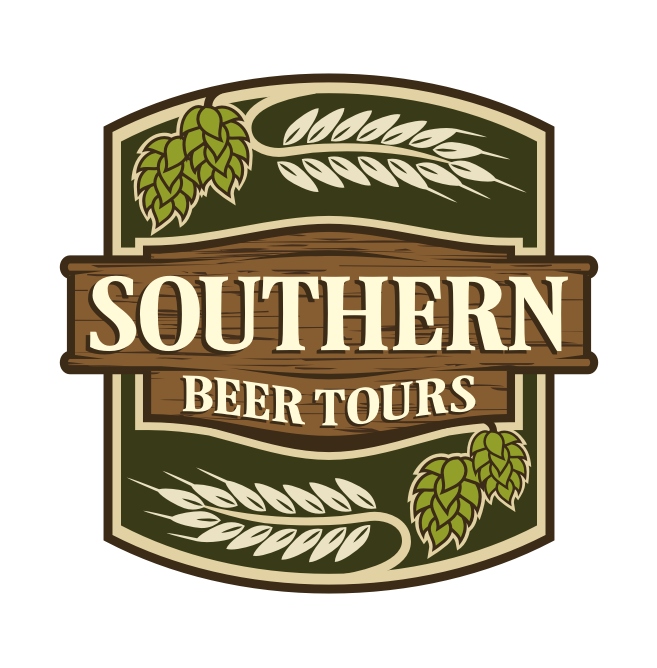 The list of partners includes breweries and brewpubs, international breweries, cideries and meaderies, retail and homebrew stores, plus a number of beer-centric products and services. In addition, the club’s director and staff are dedicated to acting as a BC Concierge service for members to help facilitate beer-related travel activities and find hard-to-get event tickets. Members will be invited to exclusive club events and can participate in an online community. Let Pops bask in the sun, get his people-watching on, and indulge in Wynwood Arts District’s stunning art! I did a post on Wynwood here because it is an amazing section in Miami that continues to be adorned by murals painted by world-renowned artists. By the way, the representatives noted that the Wynwood Art Walk takes place the second Saturday of every month, which I have done and it is totally worth the brief exercise. So plan accordingly because Dad will dig it! Dopp it the hard way! I love The Grommet site because it sifts through the thousands of product submissions by start-up companies and entrepreneurs, and only three percent get selected. I visit it often to see what’s new. Besides the growler, I travel a lot and thought the Tooletries—a hard-case dopp kit—was a cool accessory any traveling dad would appreciate. Always sweating how your luggage is handled during flights, clippers, electric razors, cologne bottles and other breakable items are held down by removable silicone netting, plus there’s waterproof neoprene lining for extra security. Check out the details here and bag...I mean...case this! Instead of the typical rolled newspaper under his arm, Al Bundy would love this as a Father’s Day gift! 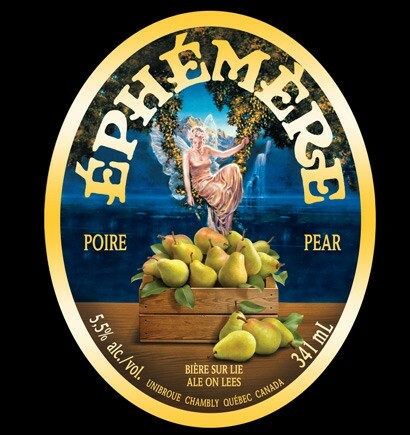 It’s a new addition to the Éphémère beer series from one of the best breweries in the world, Unibroue. I did the Cranberry here. Now it’s the Pear’s turn cased in 750 ml cork and cage bottles, and on tap at various bars and restaurants across the country. Refreshing, fruity, and delicious. Sip this with a pinky up in a tulip glass or flute for extra class! More click here for more the full description. 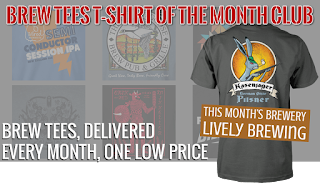 Get Red Hare’s first bottled beer! 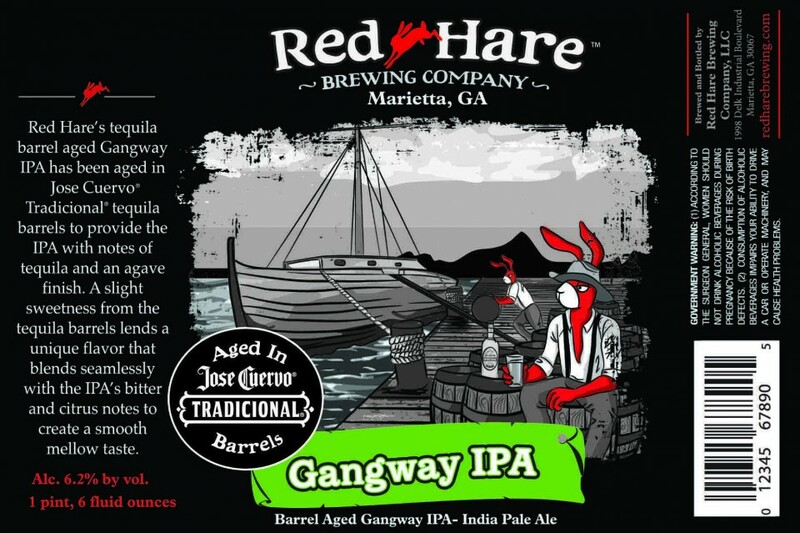 Marietta, Georgia-based brewery Red Hare is putting their first bottled beer on the shelves (they have solely been cans in the past), so this is seriously a collector’s item. Luckily, the beer in it is awesome as well! It’s the 22-ounce, Jose Cuervo Tradicional Tequila barrel-aged Gangway IPA (6.2% ABV) that’s only available in Metro Atlanta and Savannah, Georgia. 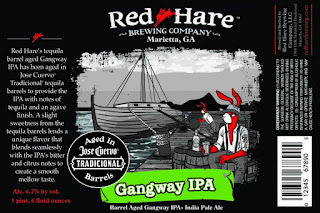 To make it even more special, Red Hare is only one of three breweries throughout the US that was selected in Jose Cuervo’s Cask Ale barrel swap program. An exotic trip to Mexico without Dad leaving the house! 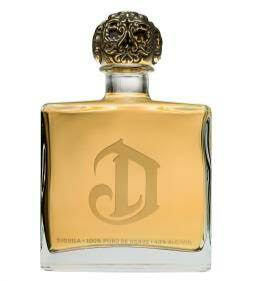 Speaking of tequila, hook Dad up with a little DeLeón’s oak-aged Reposado made from 100 percent Highland agave. I even through a recipe in there for ya courtesy of the distillery, the DeLeón Old Fashioned, which “…takes the standards of the Old Fashioned category to the next level,” they boast. Get it at any package store with class. 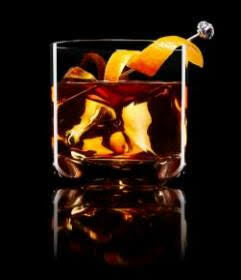 Stir all ingredients in a mixing glass over clean cubed and cracked ice until thoroughly chilled. Strain into a rocks glass over a single, clean, large format rock. Garnish with an orange peel. 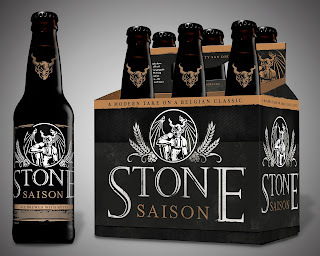 Stone Brewing Co. 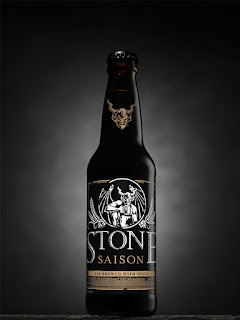 Releases Stone Saison! 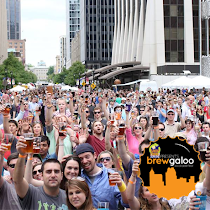 What's up craft beer lovers! To continue my updates of brews being released for our enjoyment during the warm months (you lucky West Coasters are excluded from weather being seasonal), there is a new joint to pour made by one of my favorite breweries—Stone! This time, it’s their new Saison at six percent ABV that just hit the shelves. After reading the ingredients, I MUST grab a six of this sipper, including lemon thyme, lavender, lemon zest, “grains of paradise” aka Aframomum melegueta from the ginger family sourced from Africa, and a slight dose of heat from Habanero peppers. Sounds dope, right? Well here is their official breakdown below straight from the brewery. Go here for more info as well. Stone Brewing Co. is reintroducing its take on a traditional Belgian farmhouse ale, using Southern California ingredients grown on its 19-acre farm. Stone Saison is brewed with lemon zest, grains of paradise, lemon thyme, lavender and a small dose of habanero peppers, making it the quintessential refresher for the warm-weather months. Starting today, the beer returns in 12-ounce six-packs and on draft to retailers, restaurants and bars in markets where Stone beers are sold. Grown at the craft beer company’s Stone Farms, lemon thyme and lavender contribute floral, citrusy aromas and flavors, while lemon zest and grains of paradise add vibrant grapefruit and white pepper notes that mingle with restrained, earthy heat brought on by habanero peppers. These homegrown specialty edibles balance exceptionally well with the subtle banana and clove qualities courtesy of Stone’s house strain of Belgian yeast. The resulting beer finishes with a crisp, dry and refreshing mix of spices, red apple and a hint of heat. 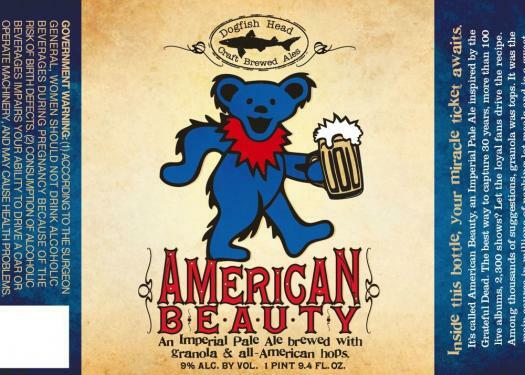 Dogfish Head releases Grateful Dead 2015 collab brew, American Beauty! Brewed with granola, this Imperial Pale Ale is just in time for the G.D. 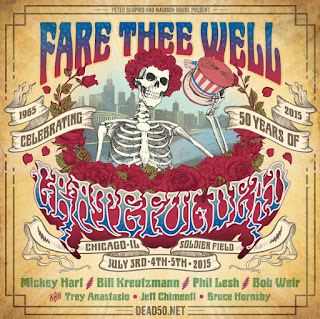 Fare The Well tour! Last weekend was nuts if you saw my last post of things popping off in Atlanta. 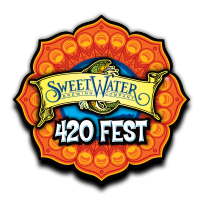 Well as I recuperate from especialle the Georgia Craft Beer Fest and Bottlepalooza bottle share at Lincoln Station, I still want to keep you updated on the latest happenings in the beer world. “American Beauty, our collaboration with the legendary Grateful Dead, is back – with a new look! 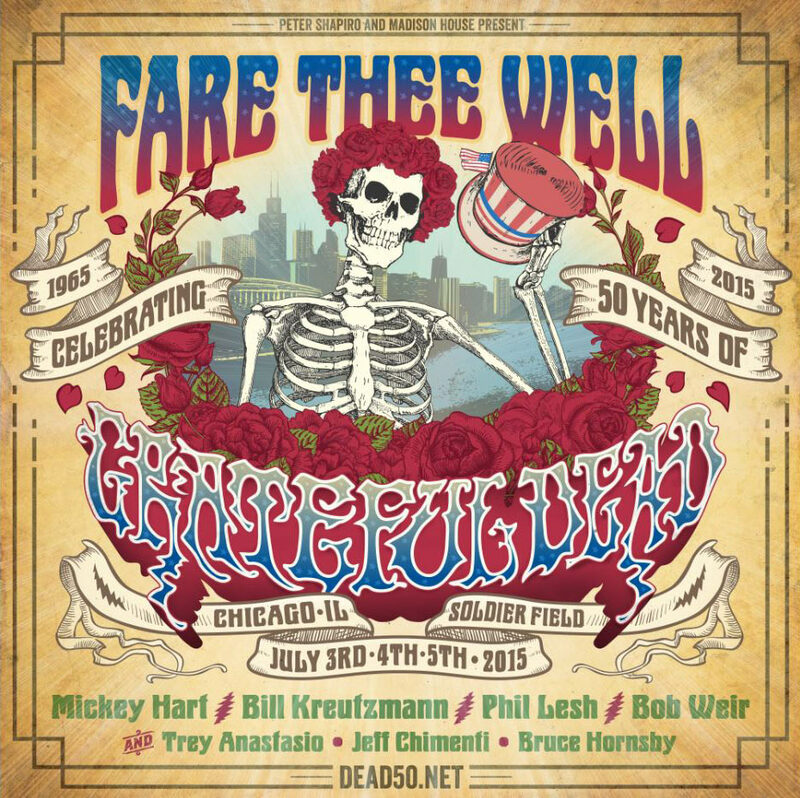 – just in time for the Fare Thee Well reunion shows. A huge hit with both beer lovers and Dead lovers, American Beauty is an imperial pale ale (the band’s choice) brewed with organic granola. 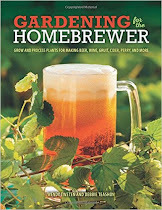 The brewery and the band, who both built followings by connecting directly with their fans, asked their supporters to help decide on one righteous, off-centered ingredient to add to the recipe that would complement the pale ale base. Thomas Butler, a chemist by day and homebrewer by night, suggested granola. * It was the main course in millions of parking lot meals, and both Dogfish and the Dead agreed it would be a sweet and toasty complement to the pale ale’s hops and barley. The new batch of American Beauty will be available on draft and in 750-ml bottles throughout Dogfish Head’s distribution network. 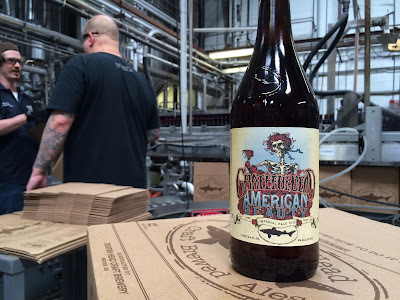 To find retailers who have received shipments in the past 60 days, try Dogfish Head’s “Fish Finder” app at www.dogfish.com.